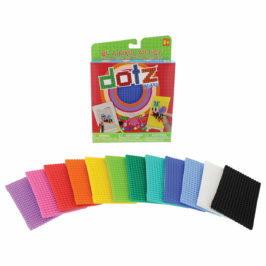 Dotz products are a fun way to DIY. Being a mom of tweens, we go through a lot of these kinds of things and I am always happy to find a product that the kids can spend more than 15 mins working on. 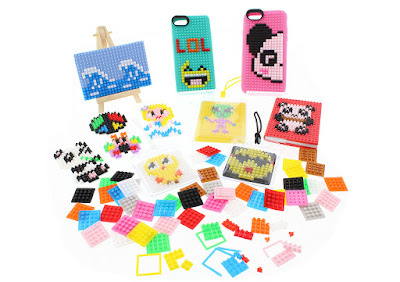 Dotz® are a brand new way to create pixel art. The pieces, called dotzBLOK™, are colorful interconnecting silicone blocks used to craft unique pixelated designs on notebooks, phone and tablet covers and more. The minds behind the fun believe in creativity and realizing imaginative potential through building. Kids can spell out their names or favorite phrases, build shapes and characters or create abstract designs for everyday decoration. Dotz come with bases, or other things like cell phone cases and tags, and then you can use the Dotz to make a pixelized image on the base. My kids are having a blast designing all their own fun creations!